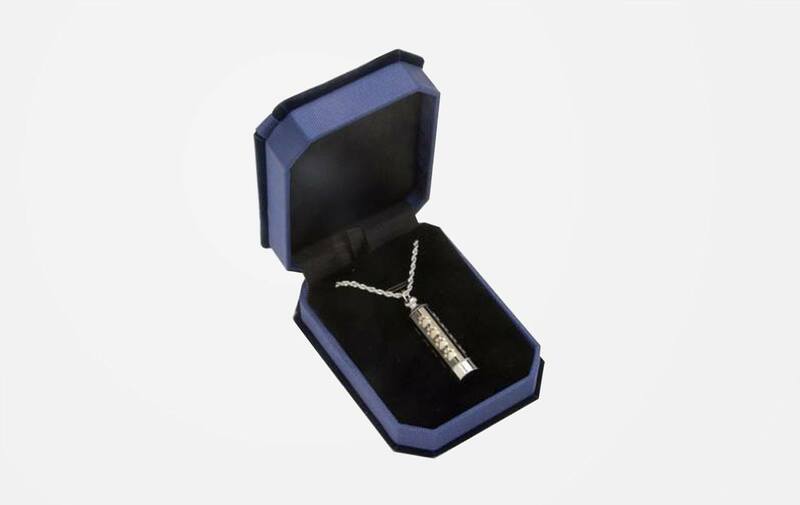 Simple, yet elegant. 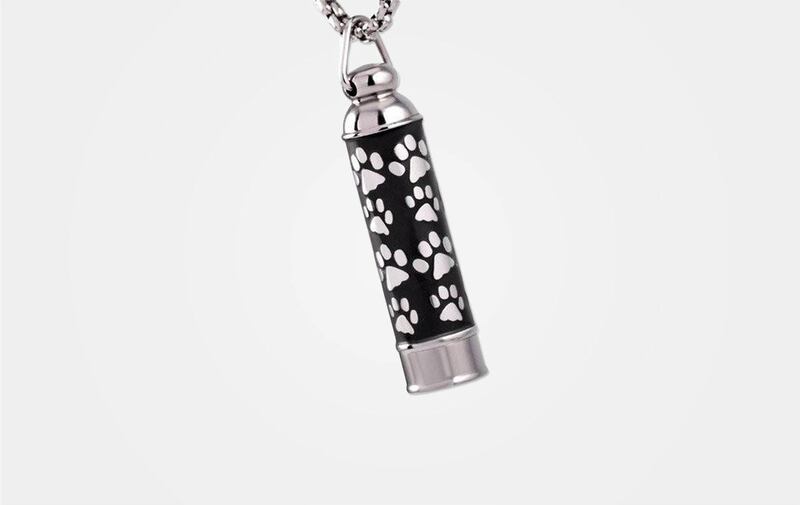 High quality stainless steel urn pendant with paw print design. Threaded at base, holds approximately 1/5 of a teaspoon. 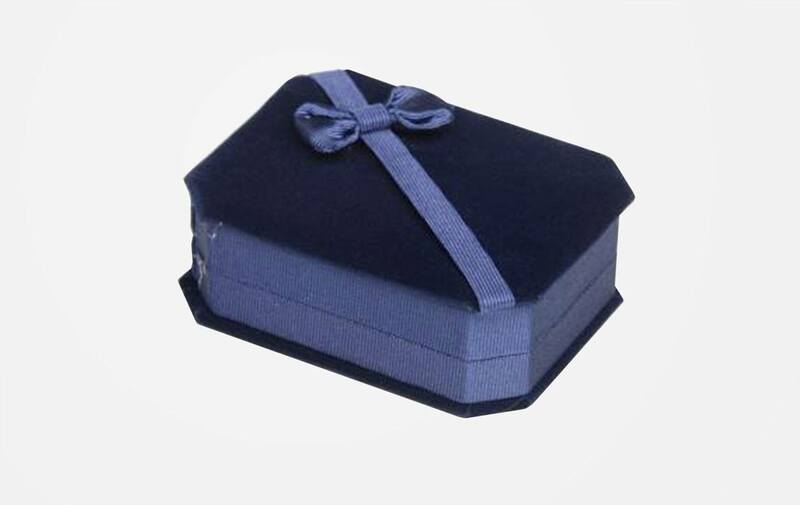 Supplied with a 17″ chain and a velvet gift box. Can also be used on a key chain!